Here you can view the past performance of our Gulfstream Park tips. Click on view details to drill down to past tipsheets including results. 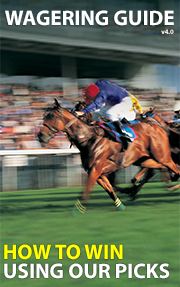 For Gulfstream Park, our BEST BETS have finished in the money 67% of the time (on average). Need help playing our Gulfstream Park tips? Here are our free Gulfstream Park tips for today. For our full tipsheet with 4-6 picks per race, BEST BETS and exacta/trifecta recommendations please visit our DOWNLOAD TIP SHEETS page. For Gulfstream Park our BEST BETS have been in the money 67% of the time (on average).